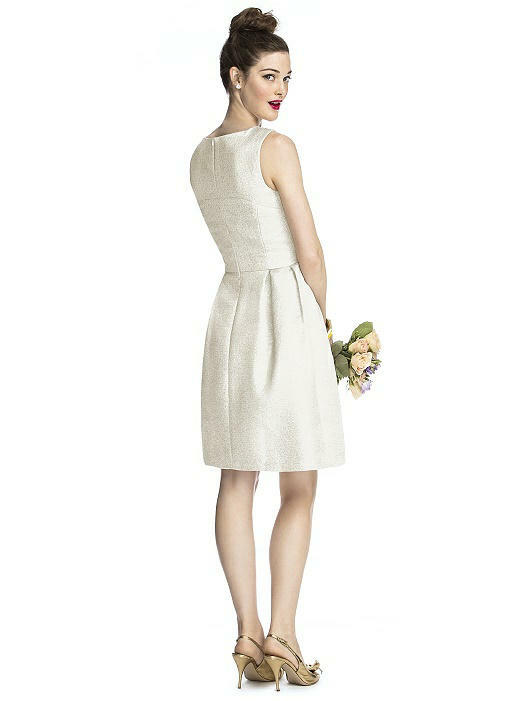 Clean, structured lines play with the cocktail length of this sleeveless park avenue brocade dress. 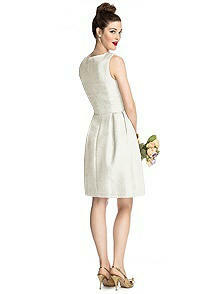 The simple silhouette is enhanced with a seamed bodice. Pockets are hidden at the side seams of the skirt's inverted pleats. Fit Tip: The natural waist and bust measurement take priority for style 5710. If you are over by an inch or two on the hip, you should have enough room to release the side seams to allow for that variance. If you would like help choosing your size, please contact a Dessy stylist.